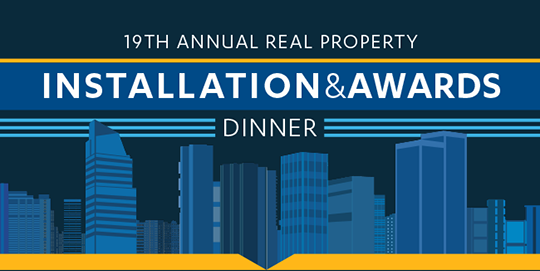 Please join us June 21, 2017, as we honor award recipients for their outstanding contributions to the real estate industry and install the incoming officers for 2017-2018! County agriculture commissioner's issuance of an erosion-control permit was a ministerial act exempt from CEQA. Although the ordinance under which the permit was issued may allow the commissioner to exercise discretion when issuing erosion-control permits in some circumstances, petitioners failed to show that the commissioner improperly determined that issuing the challenged permit was ministerial. Most of the ordinance's provisions that potentially confer discretion did not apply to the project, and petitioners failed to show that the few that might apply conferred the ability to mitigate potential environmental impacts to any meaningful degree. A developer whose project survives a CEQA challenge may obtain a fee award as a private attorney general under Code of Civil Procedure Sec. 1021.5 if the requirements of the statute are met. A citizens' group that unsuccessfully challenged a project was not a party against whom a Sec. 1021.5 award could be made, because it did nothing to compromise public rights. Changes in college's modernization project--including a decision to demolish, rather than renovate, one building complex while renovating two buildings originally slated for demolition--amounted to a modification of the project, so college was required to conduct subsequent review under CEQA. Defendants' use of an addendum to the previously approved mitigated negative declaration violated the subsequent-review provisions because there was substantial evidence to support a fair argument that the project changes might have a significant effect on the environment. Trial court did not abuse its discretion by awarding plaintiff an equitable easement--based on a balancing of hardships--over a small portion of defendant's property based on evidence that defendant did not use that portion and that the easement would allow plaintiff to access a third-party property over which he would have an easement by necessity. Defendant mortgage lender—by notifying plaintiff that he had 15 days to appeal denial of his request for loan modification—materially violated Civil Code Sec. 2923.6(d), which allows a borrower 30 days to appeal. Plaintiff pled a cause of action for injunctive relief under the statute notwithstanding his failure to appeal within 30 days. Action seeking to halt construction of public facility in coastal zone on the grounds that the "site development permit" had expired was untimely. Both Government Code Sec. 65009 and local land use ordinance required that the action be brought within 90 days of the issuance of the building permit. In a condemnation action in which defendants sought to introduce evidence of the value of their land for an underground natural gas storage project based on reservoir volume, trial court properly considered evidence showing the development of an independently operated gas storage market that relies exclusively on surface acres as the valuation metric. Trial court did not abuse its discretion in excluding a volume-based valuation approach based on defendants' failure to present any evidence this approach had ever been used in the market for natural gas storage leases.